In Inner West Cyberia, dwell hipsters and basket weavers. But there are also many people doing it tough, struggling with a substance abuse problem, mental illness, begging outside the small local supermarket. And there are many people around this fair land sleeping rough with no home or place to call their own. So it’s with some concern that we see this house, four up the road from Cambria. This place has been empty for at least eight years. A few years ago there was a small flurry of activity when (what appeared to be) the owners put a bit of paint on the outside and pulled out all the weeds in the front yard. But still the place went unoccupied. That is, it went unoccupied until some ghostly types made entry and sheltered there sans power and water for a few weeks. I never saw an actual person moving about the property, but there was the occasional light low down casting a glow on the windows at the back of the place – visable from the back lane. 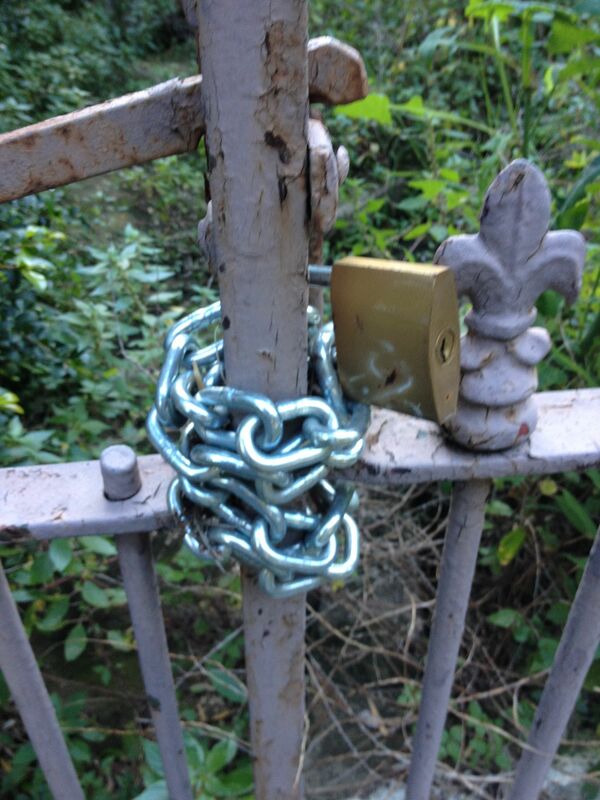 Then the owners hunted the squatters out and put the nice shiny new padlock on the front gate. That was at least a couple of years ago. Apart from the fact that land and houses cost a small fortune around here (a renovated semi quite like this freestanding Victorian place sold for $1.24M two years ago) and that only a mad person would leave such a valuable asset sitting unused and racking up costs (as well as decaying to no good purpose), it strikes me as just plainly morally reprehensible to have unused housing of a modest type, vacant for years while people are forced to live on the street. I read somewhere that it is usual for maybe 2-3% of houses and flats to be vacant at any one time, but I wonder what proportions of these places are vacant for years on end. Our local council should triple or quadruple the rates and charge the owners of vacant but habitable properties for routine maintenance and pest control. And remind them, as absent landlords, that they have an obligation to our society to live in the place or rent it out – or even provide free accommodation to a relative, for example. But council should send the message loudly and clearly that if the owners aren’t prepared to maintain the house and have someone live in the place, they MUST sell it. The other positive outcome might be that more properties come on to the market and take some of the upward price pressure off – for purchasers and renters alike. Homelessness and residentlessness – two sides of the same coin. We’ve got one of these near us, not quite as old as this one, maybe thirty years younger. There it sits with it’s “temporary” fencing which has been there for about 4 or 5 years. Hate to think how much they’re paying in rent for the fence. Nothing has happened it in that time. There’s money to be made with these old joints. Many of the places we stayed in Italy were nia the ‘Airbnb’ system where folk rent out part or all of their house/flat/Portofinian lovenest to travellers, cheaper than a hotel, but more than weekly rent. The same system functions in Australia. Perhaps the pub could buy a few? I’ll hit Granny up for a loan! I wonder if properties like it can at the very least be managed out of a Council fund to maintain some semblance of order and the estate billed if responsible parties cannot be found …or if there aren’t any because of illness and no power of attorney. Nicely written. Good for the soul reading your article, emmjay. The owner might be in a nursing home and won’t sell it. Frustrated relatives probably do their limited best. Unpaid rates after 5 years means the Council can sell the property at an unreserved auction to get the rates. Councils does it reluctantly. Either way, there are some strange people. Yes, that is a common story. The vacancy rates of unoccupied real estate is somewhere in the 6% range.There is no real shortage of houses some expert claimed a while ago. In fact leaving a house unoccupied should allow squatters their right to move in. I know in Holland a law allows squatters certain freedoms to occupy empty buildings that are habitable. I believe they even have their own union. One possible reason why it hasn’t been fixed up is that the owners can’t afford to do so. They might be struggling to pay the mortgage on the place themselves. 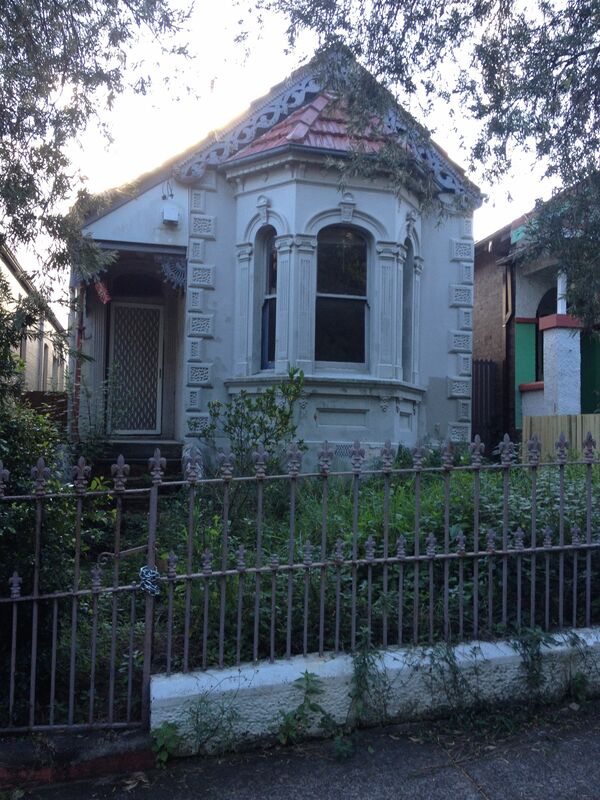 IF the neighbours who don’t like having a derelict house nearby passed around the hat to collect the $30,000 – $50,000 it would cost to fix it up the owners would likely be more than happy to rent it out. You could even negotiate gradual repayment from the rent. Or install a homeless person and forgo it. Sell it, if you can’t afford to keep it. Only a couple weeks ago, I had some girl collecting money for some basic need at one of the local schools. Thank you for drawing attention to this issue. This property is only one of many in Sydney, including warehouses such as the Griffith Bros Tea building in Wentworth Avenue that has remained uninhabited for many, many years. There should be a statute of limitations on these properties after which the State or Local Government can resume the property for public housing. I believe there is such a policy in London. It is totally unconscionable that wealthy people sit on empty properties while there are homeless people in our cities. What a gorgeous little house. There are plenty like it in Newcastle. One old bloke died with over twenty unoccupied houses to his name, the council unable to get the decades of rates out of him during life, took them from his estate. Many similar stories. I don’t like the idea of squatters moving in, but, why not force the owners to keep the place in a habitable state or forfeit. Great detecting skills, Uncle Emmjay! …and sometimes they find dead people in those lonely looking old houses. No neighbours, relatives or council health-care workers have bothered checking if granny is still alive.